It's Sunday, It's November...it's flipping cold and here I am bidding you all a fond hello...hello! So last Monday I reached the grand old age of 28 and had a fabulous birthday weekend doing my most favourite things with my most favourite people. 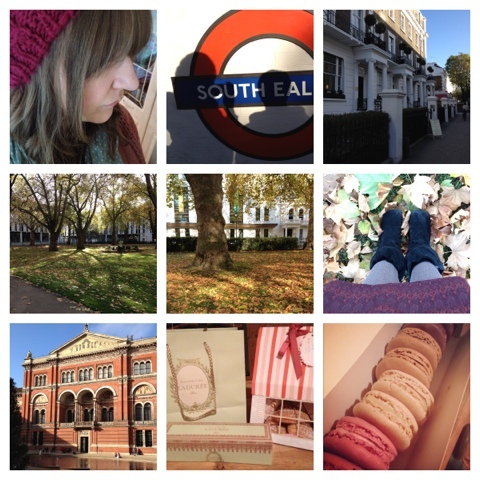 On Saturday bestie and I headed to the city from our little London suburb. It's been so long since I spent time just wondering the London streets and wondering we did. We were meeting my lovely friend L for the day and we had a splendid albeit very cold time. I made my first trip to a Laduree shop (more about that in a seperate post though) and we lunched and chatted and ambled until the sun went down. On Sunday my surprise birthday weekend started...I was only told to pack an overnight bag, I did and then off we went, the bestie and I. Heading south for a surprise adventure. We ended up in Lewes, East Sussex. Chosen because it is a gorgeous little town and absolutely teaming with antique shops which I was very quick to discover. My bestie really does know me so well. I was in my element! We found the Lewes antique centre which was four floors of absolute heaven. I found a lot of treasures in there, including a birthday treat from my mum...an antique eiderdown. My first and it's a thing of beauty. Later we headed to the Lewes Flea Market which again housed a lot of treasures waiting for me to find them and take them home. The surprises didn't end there. Our place to stay for the night was a gorgeous four star hotel 'Pelham House'. We had a girly night in our bargain twin room..watching tv, eating and relaxing before my birthday. Monday morning soon dawned and I was 28 all of a sudden. I started off the next year of my life with a four star cooked breakfast and a visit to my favourite farm shop 'Secretts' and the beautiful Winkworth arboretum before getting back on the motorway and heading back to reality to carve pumpkins and eat some seriously decadent chocolate birthday cake. It was a truly lovely birthday weekend and I was very sad to go back to work on Tuesday. I felt older with a heavy heart. 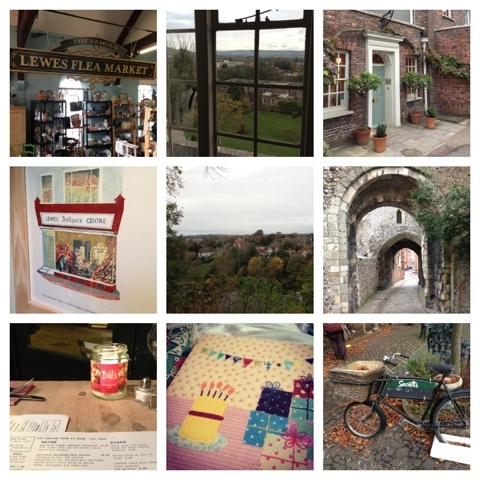 But I still had lots to look forward to..this weekend I have spent some time with both my besties and spent a wonderful few hours at the Fleetville vintage emporium...although, as much as I loved it second time around, it's not a patch on Lewes. Which makes me desperate to go back soon. So as you can imagine with all the time spent looking around such wonderous places with birthday money in my purse I have acquired a good few new treasures for my home. I will share them with you very soon. Until then, lots of love.. Sounds like you had a wonderful time Lexie! Many happy returns! Batsford Arboretum, strangely, has the most wonderful little vintage shabby chic etc shop attached. I instantly thought of you and took some photos - I will process and FB them for you to drool over!